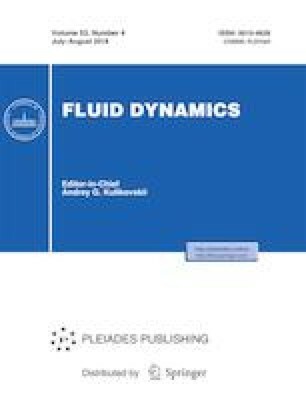 Flow past a simplified model of the civil aircraft is numerically investigated in the landing regime. The numerical modeling is performed within the framework of the Reynolds equations. The aerodynamic characteristics of the model are studied. Regimes with the static hysteresis are found. Original Russian Text © A.V. Voevodin, V.G. Soudakov, 2018, published in Izvestiya Rossiiskoi Akademii Nauk, Mekhanika Zhidkosti i Gaza, 2018, No. 4, pp. 68–74.